A few weeks ago I attempted to change a light bulb in my ceiling fan and wound up unscrewing the entire thing! As in hanging on (literally) by a thread…in this case it was a wire. What a mess. In my defense, it was tricky to get the cover for the bulb off. I know, but really. Long story short it got me thinking about ceiling fan options. The one I have has a black base and brown blades. Yep, it doesn’t match a thing or blend in for that matter. I’m not a huge fan of ceiling fans, but I’m one of those people that need them. Especially, on my 2nd floor during the blazin’ Summer months. So, as I was looking for a potential replacement I came across this! 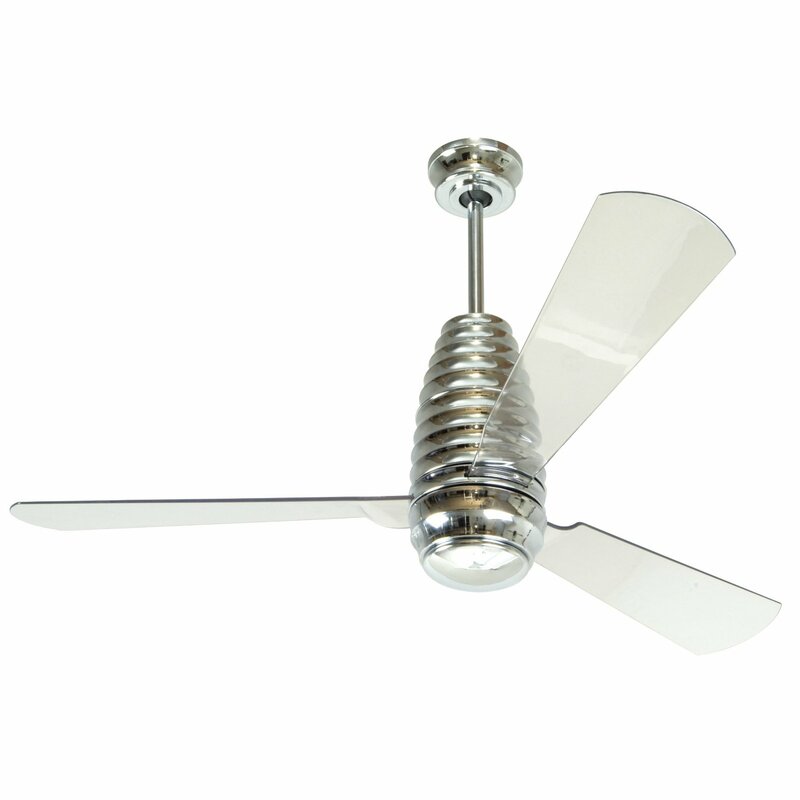 Why had I never thought of a clear acrylic ceiling fan? Duh! It basically becomes invisible and doesn’t fight with your decor. I’m liking this idea…a lot. Hey that fan is nice !!! !